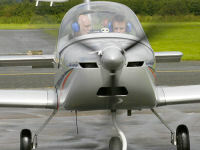 Experience the joys of flight over the beautiful borders countyside. Trial Lesson in a 3-axis microlight. Short flight briefing after which the student will be allowed to take the controls and actually fly the aircraft! Recipient of this voucher should be over 14 years of age and 14stone(90Kg) or under.